Up to $50M is available from Export and Regional Wine Support Package to help the Australian wine sector by showcasing the nation’s wine tourism offering and driving demand for Australian wine exports. The Australian Government’s $50 million Export and Regional Wine Support Package is an exciting, one–off allocation of $50 million, which aims to grow the Australian wine sector by showcasing the nation’s wine tourism offering and driving demand for Australian wine exports. Wine Australia is responsible for delivering the Package, in accordance with a funding agreement with the Australian Government. The Australian Government announced in May 2016 that it would provide Wine Australia (formerly the Australia Grape and Wine Authority) with $50 million over four years to promote Australian wine overseas, and wine tourism within Australia, to benefit regional wine producing communities. The funding was provided from 1 July 2016. The first year was dedicated to consultation, planning and development of the Business Plan. Following endorsement from the Winemakers’ Federation of Australia (WFA) and Australian Vignerons (AV), the Business Plan was submitted to the Australian Government. The Government agreed to the Business Plan in 2017, enabling the launch of the Export and Regional Wine Package on 28 August 2017. Targeted marketing campaigns in China and the USA – Australia’s two largest export markets by value – aimed at increasing the perception of, and demand for Australian wine and wine tourism. Delivery of export and tourism capability building workshops, online resources and detailed market analysis to upskill regional wine, cider and tourism communities, in terms of export readiness and development of wine tourism products and services. Wine Export Grants for small and medium wine exporters and state–based and competitive grants for state wine associations and eligible consortia. More information about the individual grants is available under ‘Grants’. Development of a brand proposition and go–to–market strategy for the Australian cider industry based on market research and analysis. 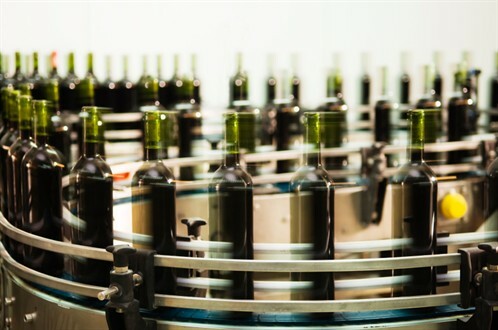 There are three grant programs within the Australian Government’s $50m Export and Regional Wine Support Package which are now open for applications. Small and medium wine businesses can claim a reimbursement grant of up to AU$25,000 for 50 per cent of eligible export promotion expenses incurred on or after 1 January 2018, plus an allowance of AU$350 per day for all on ground and incidental costs, capped at 14 days. The allowance forms part of the maximum grant amount of AU$25,000. Applicants cannot claim the GST component of any incurred expenses. The grant program is capped at $1 million, with funding accessed on a first-come, first-served basis. This grant will provide a range of stakeholders with the opportunity to apply for small grants (up to $50k) and medium grants ($50k–$250k), offered on a competitive basis, for initiatives that will grow the number of and/or spend by tourists visiting a region of Australia for the purposes of international wine tourism. Cash co-contributions apply and applications from eligible consortia are encouraged. State-based grants that provide state wine associations with access to pre-determined funding allocations to identity and plan initiatives that build international wine tourism within the state. Applications for Wine Export Grants close 1 May 2020. Applications for International Wine Tourism Competitive and State Grants close 2 March 2018.